DigitalChalk, a learning management system serving the continuing education and professional training markets announces SCORM support on the Amazon Cloud. Infinity Learning Solutions, the parent company of DigitalChalk announced today that they have successfully released the fall 2010 Aristotle 4 version with full SCORM 1.2 support. SCORM 1.2 compliant content is now available in all editions of DigitalChalk including Free, Pro, Business and School. DigitalChalk also added a checkpoint enhancement to the Chalkboard Editor, a browser based multimedia lesson studio that is included in DigitalChalk. The Checkpoint feature lets instructors insert interactive prompts and questions into a multimedia presentation through the browser. "Introducing SCORM support to DigitalChalk significantly expands the options our clients have for reusing existing content as well as broadening the range of compatible authoring tools we support," said Tony McCune, VP of Sales at ILS. "DigitalChalk is the first subscription based LMS that we are aware of running in the Amazon Cloud." "Hosting a SCORM compliant system in an advanced cloud computing platform such as Amazon Web Services (AWS) poses some unique challenges. SCORM uses communication specifications that were originally designed before the cloud was invented. We took a system with it’s own personality and wove the SCORM specification into it," said Troy Tolle, Chief Technology Officer of ILS. "The team accomplished the task in an innovative and highly scalable fashion. There was no impact to the thousands of organizations currently delivering courses on DigitalChalk today." The SCORM specification was originally created by the US Department of Defense. Introducing SCORM into DigitalChalk helps address the growing demand from the US federal government for scalable software as a service (SaaS) learning management systems on the Apps.gov cloud infrastructure, which is modeled after the AWS system. "Not only is DigitalChalk an industry leader in delivery of online training and continuing education, DigitalChalk is the first Learning Management System to build a SCORM compliant system in the cloud using Amazon Web Services that we are aware of," said Wes Hester, CEO of Foxhole Technologies, a VA based federal IT services company. 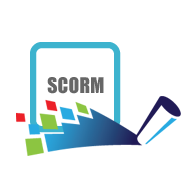 You can read more about the SCORM specification from Advanced Distributed Learning at www.adlnet.gov. Bài viết bạn chia sẻ tui thấy có lý, chắc phải lưu lại xem tiếp. Sẵn đây mình muốn hỏi bên cậu có nhu cầu vận chuyển Hà Nội hoặc vận chuyển hàng hoá Sài Gòn không vậy? Ngoài ra bên mình cũng chở thang may Mitsubishi gia re, thang máy tải khách từ HCM để vận chuyển hàng qua Campuchia, chuyen hang qua Lao hoặc vận chuyển hàng sang Trung Quốc. DreamHost is one of the best website hosting provider for any hosting services you require.